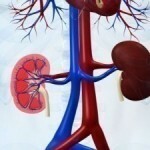 End stage Renal Disease or ESRD, occurs when the kidneys fail to function properly. They are no longer able to remove the wastes from the body and their lack of functioning can affect other important body functions. 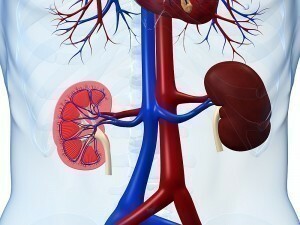 It is a stage that is characterized by acute kidney impairment which is irreversible. It can no longer be controlled by conservative management alone, and treatment options for this serious condition include dialysis or kidney transplant. The following list includes the possible causes of ESRD. hemodialysis and peritoneal dialysis: To put it simply, these treatments use a machine to purify the blood much like the kidneys, in an attempt to remove toxic levels of waste from the body. 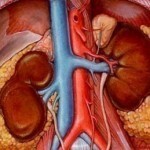 kidney transplant: This treatment is opted for when the kidneys becomes completely non-functional. 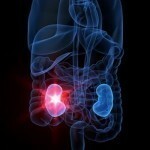 They are removed and replaced by a healthy kidney obtained from a donor. medications: Medications will be prescribed to the patient, depending on the cause of ESRD, age of the patient, phase of the disease and so on. Some medications maybe prescribed to help with the growth and prevention of bone density loss, and / or to treat anemia. Sometimes, diuretic therapy or medications are given in order to increase urine output. dietary changes: It is extremely vital to control and watch the diet of a person who has been affected by ESRD. The person should consult a dietician and also follow the instructions of the doctor to aid with the treatment process. Common changes that are typically made in a patient’s diet include the reduction of water, salt, potassium and phosphorus from the diet. This is because when the kidneys fail to function properly, it fails to remove the excess of water, salt and potassium from the body. Foods high in phosphorous can also lead to complications in the case of a kidney failure because they tend to leech the calcium in the body leading to conditions like osteoporosis.